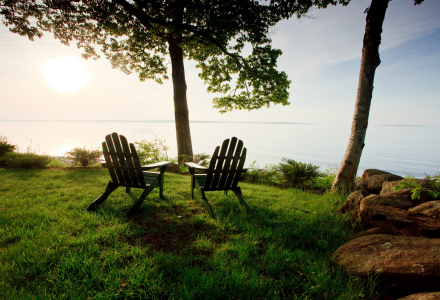 The Inn at Sunrise Point is a Camden area bed and breakfast located in one of the most beautiful regions of the magnificent Maine Coast. 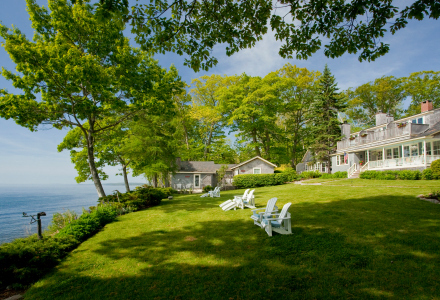 The Inn at Sunrise Point is a Lincolnville bed and breakfast located in one of the most beautiful regions of the magnificent Maine Coast. Our luxurious Camden Maine area inn is situated just two miles from Mount Battie and Camden Hills State Park and offers spectacular views of the Maine Coast and Penobscot Bay with its many islands. 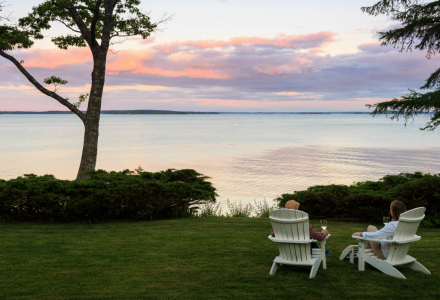 Far from the noise of traffic but just minutes from the picturesque Camden harbor, fine dining and shopping, our romantic Coastal Maine B&B is a secluded six-acre oceanfront hideaway. Comforted by the gentle murmur of waves just outside the window, guests sleep soundly in the wonderful sea air. 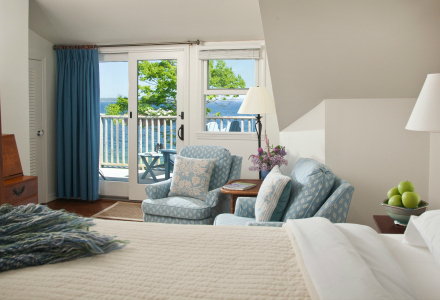 Our guests wake up to the breathtaking sight of the sunrise across Penobscot Bay followed by a gourmet breakfast served in the sunlit conservatory of our lovely Lincolnville, ME inn. 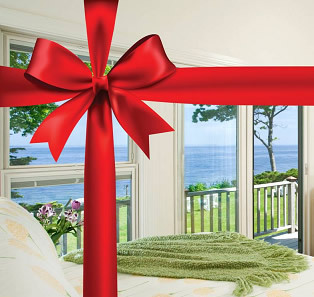 Our outstanding Camden Maine bed & breakfast features award-winning luxury accommodations. The casually elegant main house is a wonderfully restored, 1920’s shingle-style Maine summer cottage. 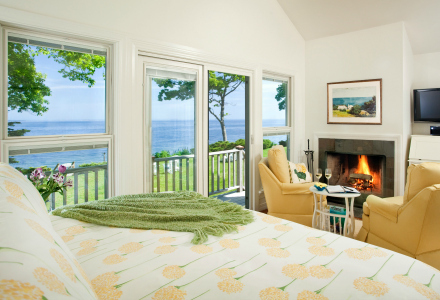 Our bed and breakfast inn offers five rooms, two suites and five ocean-view cottages at the water’s edge, all superbly furnished including private decks, fireplaces, AC, king beds, and modern luxury amenities. 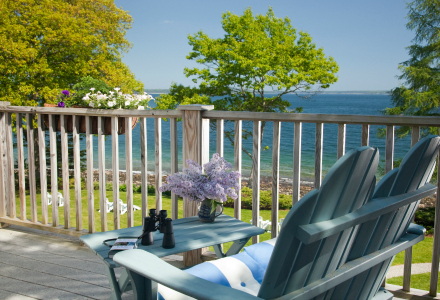 Come and stay with us and enjoy all that the beautiful Maine coast has to offer!